This award will recognise the aesthetic doctor, dentist, dermatologist or surgeon who is deemed to have contributed most to the profession and/or has provided the most outstanding care and treatment to their patients in the last 12 months. The winner will be judged on their clinical expertise, continuous professional development, commitment to patient safety and the difference they make to their patients, clinic and the profession as a whole. There will be no voting process and the winner will be decided by the judging panel. In 2006, as an ENT Trainee, I became fascinated with the cross-over between ENT and facial plastics. Bringing my surgical knowledge over to the aesthetic side was a natural progression, and I started working with toxins and fillers. Realising the potential to transform patients’ lives, I rapidly became aware of the need for a bigger toolkit to help patients with complex concerns and sought the expertise to use this toolkit. Now 12 years on, >100 aesthetic medicine courses later, as an Industry KOL and Masters Degree Course Designer, I am delighted that my skills and expertise have aided thousands of patients to both look and feel better about themselves. With my life and work partner, Dr Emma Ravichandran, I opened the first Clinetix clinic in Glasgow in 2011. The clinic’s success rapidly outgrew its footprint, leading to clinics in both Bothwell and Hyndland. In 2011, I co-founded the Association of Scottish Aesthetic Practitioners (ASAP) providing the first annual conference of its type in Scotland and an online forum for practitioners. 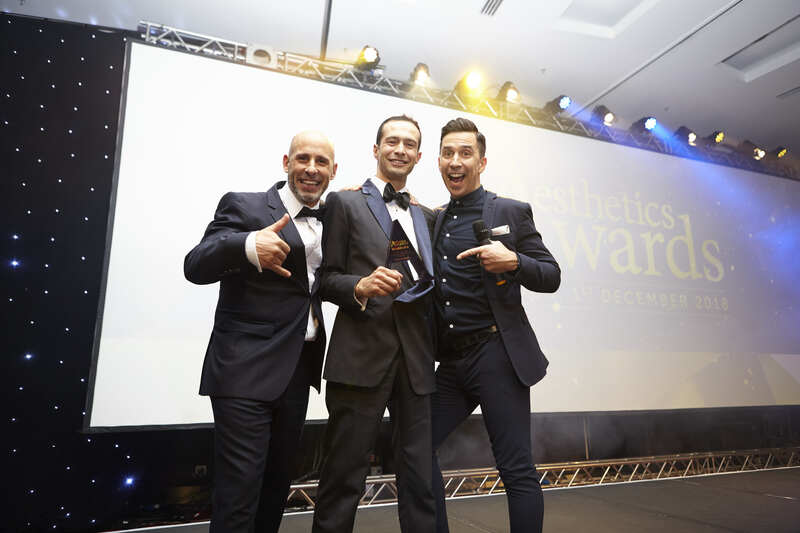 In 2017, I co-founded and developed the Aesthetic Training Academy (ATA), bringing an ever-increasing range of exemplary training to clinicians. I’m a qualified Doctor of 20 years, the last 9 in aesthetic medicine. My 12-year NHS surgical career consisted of 6 years in reconstructive Plastic Surgery. Spending most of this covering burns and skin oncology surgery, my interest turned toward the advancing world of energy based devices and applications to improve functional and aesthetic skin outcomes. 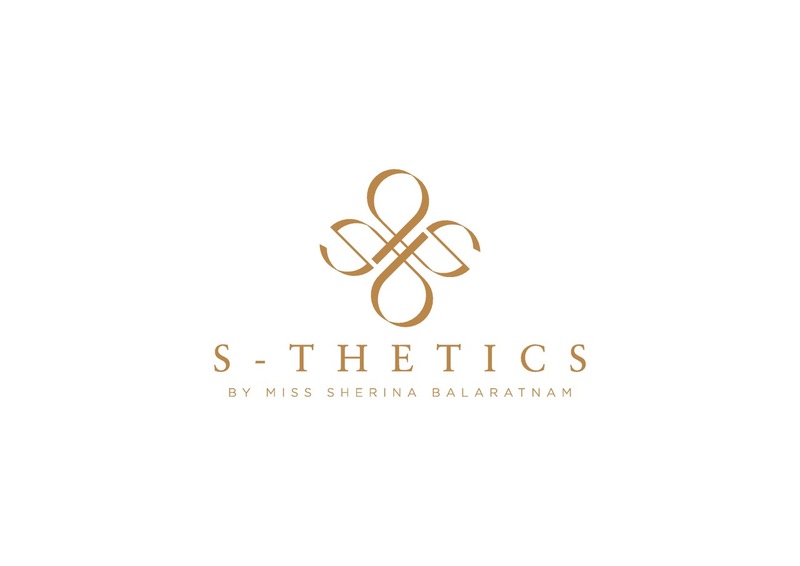 From a mobile practitioner growing 6 successful UK clinics, I’ve launched and established my own clinic, S-Thetics. I’m proud we’ve won 5 national UK awards, my team has doubled in number and clinic doubled in size. I enjoy practicing medicine in a multidisciplinary approach. · 1 of 9 Allergan Medical Institute Faculty Doctors, deliver regular advanced injectables training. · Host regular, focused group teaching covering variety of topics in aesthetic medicine. · Work alongside Endymed Medical on new treatment indications and protocols, Endymed 3DEEP radiofrequency platform. Dr Stefanie Williams is a fully qualified, GMC registered medical doctor, a Consultant Dermatologist and the Medical Director of ‘Eudelo Dermatology & Skin Wellbeing’, an multi award-winning, unique fusion clinic of medical and cosmetic Dermatology in Central London. Dr Stefanie graduated in Medicine in Germany. After five years of postgraduate specialist training and success in the rigorous German specialization exam, she was awarded the title of Specialist Dermatologist by the Hamburg Medical Council. She has presented at international conferences all over the world and has been medical adviser to multinational companies including Philips, Merz, Almiral, L’Oreal, Neutrogena, J&J and Rekitt-Beckinser. She is on the medical advisory board of Aesthetics Journal and on the steering committee of CCR 2018. Dr Stefanie is a highly respected part of and has greatly contributed to the aesthetic industry over many years. Dr Stefanie is an associate lecturer in Cosmetic Science at the University of the Arts, London. She is author and co-author of more than 130 scientific articles, book chapters and abstracts and her cutting-edge skin research has led her to receive a number of prestigious awards. She is also a reviewer for leading dermatology journals. In 2018, Dr Stefanie published her second book, ‘Look Great, Not Done’ that has became an Amazon-No-1 Bestseller within weeks. Dr Stefanie and her book are regularly featured in the media, including in Vogue, Tatler, Cosmopolitan, Hello Magazine, Telegraph, The Times, BBC Radio 4 and ITV, to name but a few. I have practised Aesthetics for 13 years, 50 percent of my work is clinical practise and 50 percent is training, research, innovation of techniques, understanding visual perception, and prevention of complication through education. I have clinics in Henley, and in London, Harley Street. I am the Medical Director of European Medical Aesthetics Ltd parent company of three aesthetic brands - Clinic 77, Medics Direct Pharmacy and Medics Direct Training. Our Training, which has been running aesthetic training courses for over 10 years and trained over 5,000 medical practitioners. I am actively involved with promotion of academic medical education and play an active role on the Scientific committee for AMWC Monaco, FACE, CCRE, Royal Society of Medicine, Elite session ACE 2018, bi annual applied anatomy, CFA course Amsterdam and over the last 7 years I have taught aesthetics in 47 countries and Four continents. In addition this year I have been on the Faculty for Vegas Cosmetic Surgery 2018, IMCAS Asia 2018, have 3 publications in peer reviewed journals, Co Author of applied anatomy text book, and various regenerative articles (Prime Journal March 18). I also formed the MD Research Hub - coordinating aesthetic research with academic institutions. I believe regenerative medicine has as a key role to play in the future of aesthetics and in addition to ongoing research, I have introduced several regenerative modalities into the UK, such as Autologous conditioned serum (ACS), and am the lead author of the global consensus on innovative biostimulatory and regenerative uses of hyperdilute CaHA (Derm Surg 2018 ). This year we introduced a free scar clinic, for patients with facial deformities. Fellow of the Royal Society of Medicine, Royal Society of Arts and Royal Academy of Medicine (Irl). Chairman of the Ailesbury Humanitarian Foundation. Honorary Ambassador to the Michael Jackson Legacy Foundation. Editorial boards of five international aesthetic journals. As an experienced aesthetic doctor and portrait artist, I have worked tirelessly and passionately over the last 15 years to build and share my artistic approach to facial rejuvenation. Over the last 12 months, I have advanced 'Facial Reshaping' to become my most requested treatment option. Facial Reshaping involves a safe and holistic approach to nonsurgical facial rejuvenation using mainly fillers. This holistic approach focuses on the relatively safe periphery of the face to restore the bony outline and in so doing outwardly rotate the ageing face to produce consistently pleasing and natural results. I have continued to share my techniques in numerous published articles in Aesthetic Medicine Magazine as well as presentations at CCR Expo (October 2017), AMWC(15th) in Monaco, the Royal College of Medicine (RSM 10) and Aesthetic Medicine Live (March, 2018). I continue to share during my free weekly teaching sessions and social media (@drharrisclinic) where in the last 6 months I have gained over four and a half thousand followers. As an aesthetic doctor and cognitive behavior therapist, I have continued to raise awareness about Body Dysmorphic Disorder (BDD). To that effect, I have published articles, presented at CCR Expo and have been in discussion with Allergan. I also published a first of its kind survey measuring BDD amongst aesthetic practitioners (Aesthetic Medicine, November 2017) which I will be presenting at the next BCAM conference (September 2018). Finally, alongside my busy aesthetic clinic, I continue to run a BDD clinic where I treat patients with this disabling condition. •	Member of the Aesthetic Complications Expert Group. •	Introduced plasma based FELC treatments. I am a fully-qualified plastic aesthetic and reconstructive surgeon, on the GMC specialist register, and chose this career path to help people and truly make a difference to their lives. From my days as a junior doctor in the early 1990’s through to today in my current position as Director of La Belle Forme, I have endeavoured to make my goal of making a difference to people’s lives evident in everything I do. As I junior doctor, I witnessed first hand how plastic surgery could transform peoples lives. I began my career as a plastic surgeon at Canniesburn Hospital and later undertook a higher doctorate in Head and Neck cancer plastic surgery as being part of the team that developed a new technique for identifying early spread to lymph nodes of mouth cancers. I continued treating patients with injectables - particularly for lipodystrophy and facial palsy – and carried out surgery for facial reconstruction, thus developing my aesthetic eye for difficult and challenging cases. I completed my training in all aspects of plastic surgery in Glasgow, Edinburgh and Oxford. I became a consultant surgeon in 2006 with a special interest in facial reconstruction and set up my private practice. I opened a clinic in 2009 and left the NHS in 2014. I now have a full-time private practice in aesthetics, encompassing both aesthetic surgery and aesthetic medicine. In 2016 the group expanded to include four clinics covering Scotland, Essex and Kent. I have an experienced team of people working with me including other surgeons, doctors, nurses, therapists and an administration team that help deliver the high standards of care that I believe every patient should receive. In the last 12 months I have started performing probono work in conjunction with other practitioners to manage complications from their filler practice, I have started treating reconstructive plastic surgery cases without charge and have started treating skin cancers without surgeon fees. Dr Beatriz Molina is one of the world’s leading experts on non-invasive aesthetic medicine, and a pioneer in the field. She is a KOL (Key Opinion Leader) and a CMT (Country Mentor Trainer) for major pharmaceutical companies. In 2018 Dr Molina has presented and conducted masterclasses at IMCAS, AWMC, the SIME Congress and FACE. She continues to travel the world sharing her knowledge and passion for aesthetic medicine. Beatriz was Vice President of BCAM as well as the Director of Conferences until September 2016 and was made a Fellow Member of BCAM. Beatriz remains a Board Member of the RSM (Royal Society of Medicine) Council. Beatriz continues to strive for excellence in the industry and has now turned her focus and organisational skills on her new venture of IAPCAM (International Association for Prevention of Complications in Aesthetic Medicine) of which she is the founder. Dr Molina believes deeply in sharing knowledge between all practitioners of aesthetics medicine and therefore promoting a safer environment for all patients undergoing treatments wherever in the UK. Her first IAPCAM Symposium was held on 22nd September in London this year, with a variety of international speakers and a diverse agenda. With over 120 delegates, the event was a resounding success with fantastic feedback from all involved. Following this success, a second IAPCAM Symposium has been scheduled for 21st September 2018. I have been practicing in the field of aesthetic medicine for over 13 years. In 2005 I established my practice, Venus Medical, in Dublin, where I have been at the forefront of aesthetic medicine in Ireland since. I founded the European College of Aesthetic Medicine and Surgery (ECAMS) in 2008, a leading international organisation that trains hundreds of doctors and surgeons annually in aesthetic procedures. These include advanced injectables, facelift, blepharoplasty, breast augmentation, body contouring and aesthetic genital surgery. These live surgery and cadaver courses are held at training sites across Europe including London, Italy, Austria and Greece. As well as presiding over ECAMS for a decade, my commitment to education in aesthetic medicine is evidenced in my various publications, including over 20 book chapters and two books: Aesthetic Medicine. Art and Techniques (Springer 2011) and High Definition Body Sculpting. Art and Advanced Lipoplasty Techniques (Springer 2014). In Ireland, I pioneered numerous procedures at my clinic. I was the first in Ireland to perform VASER lipoplasty, Ultherapy tissue tightening, and MiraDry for axillary hyperhidrosis. In the last year, I also introduced to Ireland Cellfina for cellulite and FaceTite temperature controlled radiofrequency. I also pioneered a novel modified one-stitch facelift technique. Some of my techniques, including breast fat grafting and the one-stitch facelift, were showcased on the national TV show Body Shopping recently. I was heavily involved in the development of the European Standard for aesthetic surgery services at CEN, acting on the technical committee TC403.